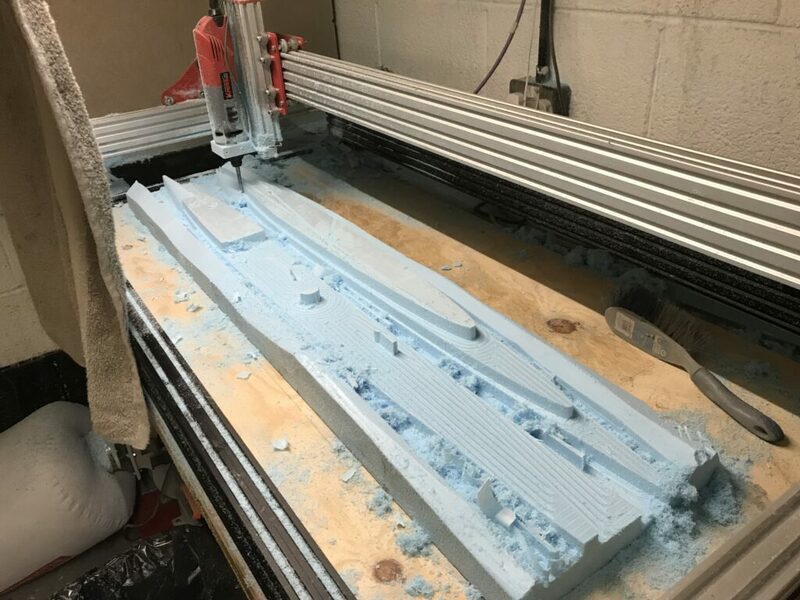 We’ve spent quite a bit of time building a CNC machine perfectly suited to messing around with radio boats and parts! 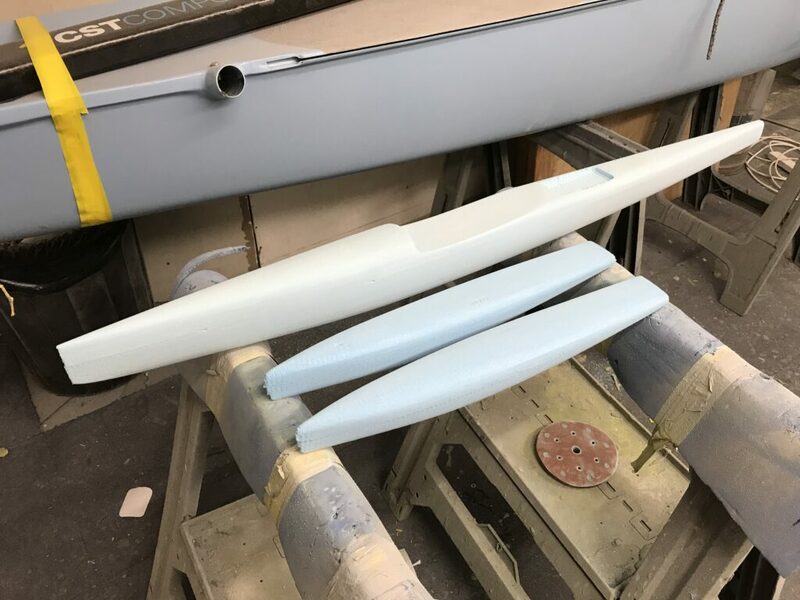 By machining Styrofoam blanks using a coarse stepover and a little hand finishing, we can produce hull shapes for one offs in the space of a day. We’ve had quite a bit of success in then laminating around the styrofoam with our chosen layup, before dissolving the foam out with solvent. While it’s a bit messy it’s far less effort/cost/waste than producing moulds for what would be a one off or experimental boat. 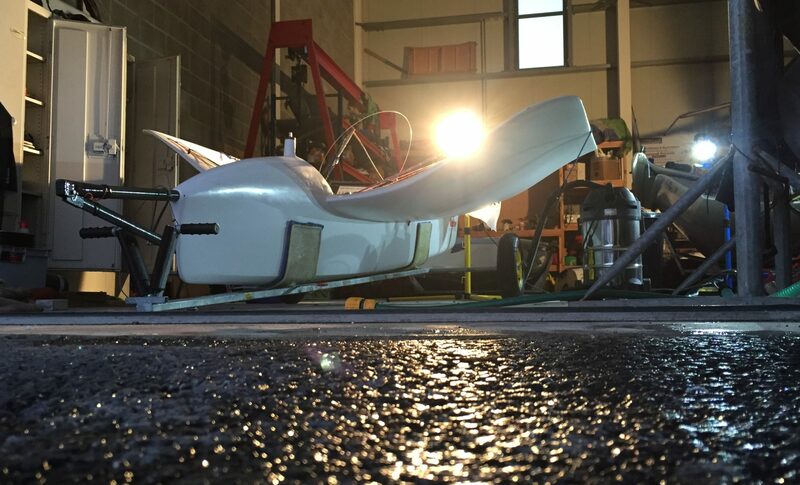 We’ve actually been just leaving the foam in there with our Mini40ilers – this means you need less laminate to achieve the required panel stiffness, just careful handling on the shore.